No mulch is perfect. However, understanding the attributes of various materials can greatly help you choose the best mulch for your landscape. Summer Mulches – These are also known as growing mulches. They are normally applied after the soil began to ward in the spring. Some of their primary roles include warming the soil, retaining soil moisture, and reducing the growth of weeds. Winter Mulches – They are used primarily as insulation for woody plants. They must be laid down in late fall to keep the soil evenly cool through the entire winter season. Some of the effective winter mulches include shredded leaves, pine needles and straw. For vegetable gardens or small fruit plantings, it is best to use black plastic and straw. 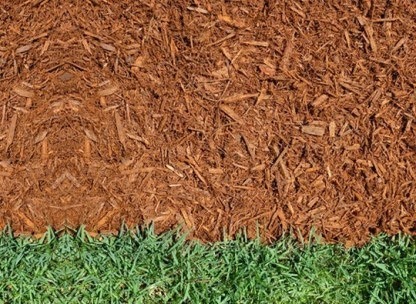 For shrub beds or perhaps around trees, wood chips, pine needles and barks are considered the best-suited mulches. For rock gardens, use fine gravel or crushed stone mulches. For perennial or annual beds, consider using wood shavings, cocoa shells, and barks. It is free of toxic weeds, diseases, and insects. Reduces soil erosion - If water droplets will land on bare soil, the soil particles usually fly in all directions which then can result to crusting and slow water infiltration. Mulches will actually break the impact of water droplets, thereby reducing soil erosion and crusting, as well as enhancing the penetration of water into the soil. Improves soil structure – As organic mulches decompose, they will provide organic matter that will prompt soil particles to aggregate. Large aggregates will actually boost aeration as well as enhance moisture condition in the soil. In turn, these conditions will encourage additional root development as well as biological activity – and this will indeed further enhance soil structure. Prior to covering the area with mulch, you have to bring the site to its desired grade. Also, it is indeed a smart idea for you to treat the area with a pre-emergent herbicide before mulching. Organic mulch must thoroughly cover the area to a uniform depth for it to become very effective. Be reminded that bare spots are very much prone to weed problems. Moreover, uneven mulch will not properly insulate the soil. When it comes to mulching, there are indeed a lot of important things to consider for you to make the most out of your mulch. About the author: Kenneth Lawrence is a homeowner and a writer. He usually spends his free time learning more about home improvement tips. He continually visits sites like http://www.mulchperth.com.au and reads books in order to increase his know-how about this industry. He shares what he learned through writing.